Overfished oceans could become dominated by jellyfish in the future, according to a report published this week in the journal Science. Shoals of jellyfish have started to take over overfished areas where plankton-feeding fish, such as sardines, once dominated. Some think this effect is temporary and that the fish populations in these areas will recover, but fishing patterns show no signs of changing. Could jellyfish gradually out-compete fish and become the oceans' new top predators? At first glance it would appear not. Jellyfish have a very primitive method of hunting. They catch their plankton prey by quite literally bumping into it, drifting along and waiting for it to come into contact with their tentacles. In contrast, fish actively swim around, using vision to hunt for food. José Luis Acuña from the Universidad de Oviedo in Spain, along with colleagues in Spain and the US, decided to compare these feeding strategies by examining feeding and respiration rates among jellyfish and fish. The results reveal that fish and jellyfish actually consume prey at very similar rates when the low energy costs of jellyfish are taken into consideration. The large water-filled body of a slowly drifting jellyfish expends very little energy and yet are able to capture their plankton prey at the same rates as the more energy-hungry, actively hunting fish. 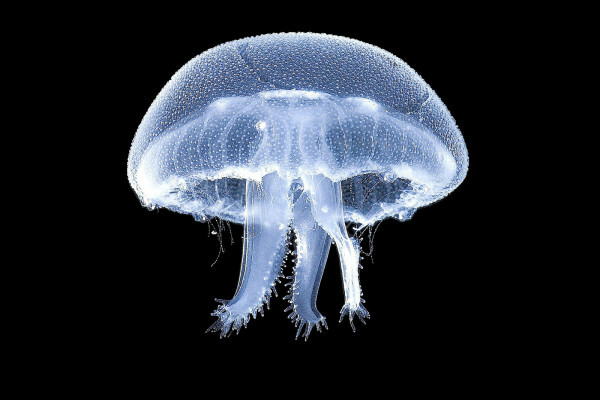 Dr Acuña said, "This is very interesting, because it points to some degree of competition between jellyfish and planktivorous fish." This means that the jellyfish are likely to hang on to the new territories they invade, meaning that, if trends of fish decline continue, a large scale jellyfish takeover could be on the cards. "Unless we reduce fishing and contamination we will see more and more jellyfish in the ocean," said Dr Acuña, "We are talking timescales of a decade or so for these kinds of changes."